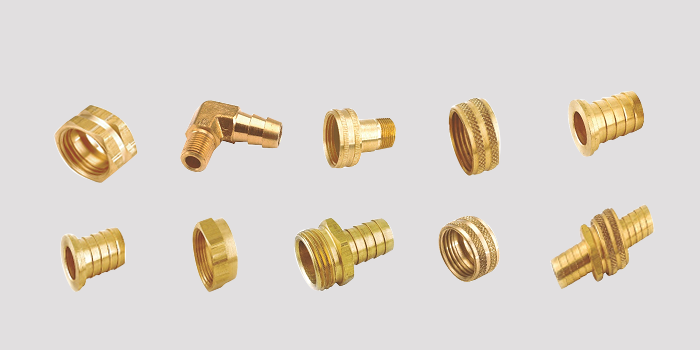 Garden hose fittings connect garden hose to other garden hose, to pipe or to tubing. Hose end threads are 3/4" garden hose thread. Swivel connectors allow hose to twist without kinking. Hose barb ends for use with 97HC hose clamp or equivalent. All female connector ends should have a rubber washer (901GH-12) inserted prior to usage. The unvalved design permits maximum flow with minimum pressure drop. Male garden hose threads are all 3/4" with an outside diameter of 1.0625 and 11-1/2" threads per inch.